Despite the fact that there are many drum books on the market, there still remains a significant problem for students and teachers – CONTINUITY! That is, getting from one level of training to the next in a logical and doable manner. Students, especially very young students, require lesson plans that are carefully thought out. Typically, the responsibility for developing and implementing organizational procedures falls in the hands of the instructor. 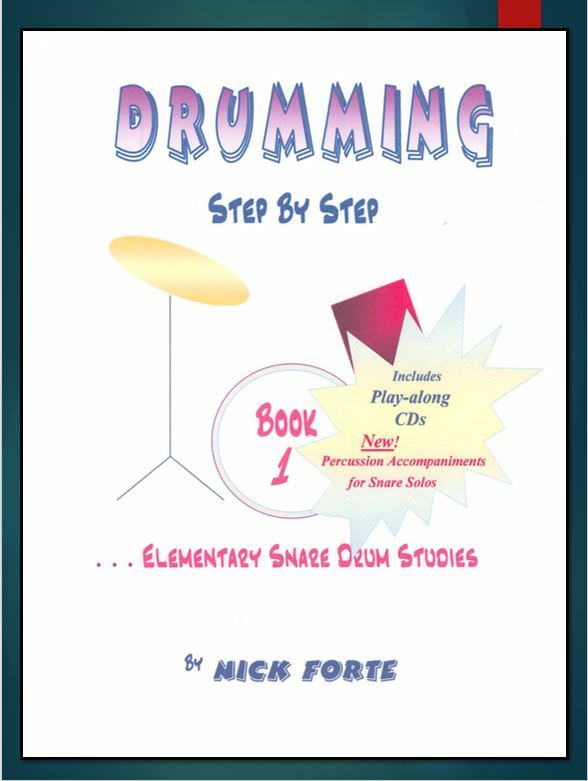 Drumming – Step By Step represents a significant breakthough from traditional drum training. It is perhaps the only stand-alone drum-study course that is organized in terms of a curriculum. The inclusion of timely and specific material is based on the author’s extensive experience – training drummers of all ages and levels in the private and public school sectors for more than thirty years. The Drumming – Step By Step curriculum is presented in the standard three-level manner – Beginner, Intermediate, and Advanced. However, each level is “housed” in a separate but interconnected two-book system. That is, the entire course consists of six books.